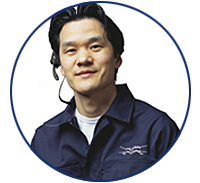 After years of wear and tear or insufficient maintenance,a boiler’s performance can be degraded to the point where repair is no longer economical or technically feasible. In such cases, Alfa Laval provides a cost-effective replacement according to your specifications – even on an emergency basis. As the leader in marine boilers, Alfa Laval can replace not only Alfa Laval Aalborg boilers and waste heat recovery systems, but also boilers of other brands. We can provide a 1:1 replacement of your original boiler, or supply a new boiler design if your requirements or steam demands have changed. Installation materials, drawings, engineering, class approvals and other practicalities are all in our scope of supply. You receive a replacement that meets your needs perfectly, either fully assembled or as loose parts for final assembly on board. 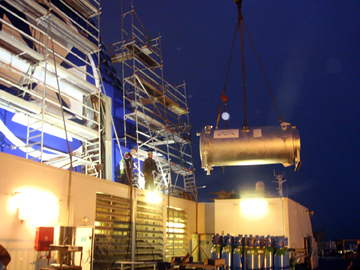 Replacement boilers can be supplied fully assembled for planned installation in dry dock or alongside, or as loose parts for final assembly on board during voyage or port stays. Boiler parts are fabricated in ISO-certified workshops using class-approved materials, which are readily available from Alfa Laval manufacturing units. The work is performed by experienced welders/boilermakers, using original documentation for any boiler originally supplied by Alfa Laval.